Toyo Rayon Science Foundation (now Toray Science Foundation) established. 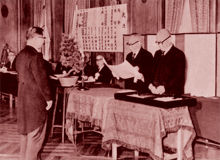 Toyo Construction Co., Ltd. (now Toray Engineering Co., Ltd.) established. 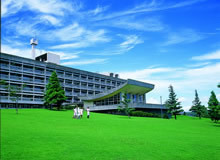 Basic Research Laboratories (now Pharmaceutical Research Laboratories) established (Kamakura). 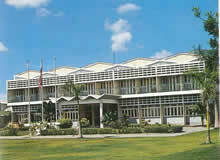 Thai Toray Textile Mills Co., Ltd. (now Thai Toray Textile Mills Public Company Limited) established in Thailand. Production of rayon yarn phased out. Full-scale production of TORAYFAN™ polypropylene film began (Shiga). Toray Nylon Thai Co., Ltd. (now Thai Toray Synthetics Co., Ltd.) established in Thailand. Production of TOYOLAC™ ABS resin began (Nagoya). Production of TORAYLON™ acrylic fiber began (Ehime). 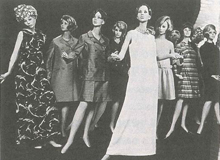 Toyo Products Co., Ltd. (now Du Pont-Toray Co., Ltd.) established as a result of equal investment by Toyo Rayon and Du Pont. Marketing of SILLOOK™ polyester filament yarn--a substitute for natural silk--began. Toray New York, Inc. (now Toray Industries (America), Inc.) established in the U.S.
Marketing of PROMILAN™ nylon 66 began. 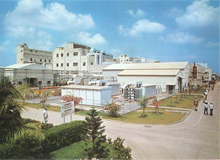 Toray Silicone Co., Ltd. (now Dow Corning Toray Co., Ltd.) established as a result of equal investment by Toyo Rayon and Dow Corning in the U.S. Full-scale production of TORAYPEF™ polyolefin foam began (Shiga).